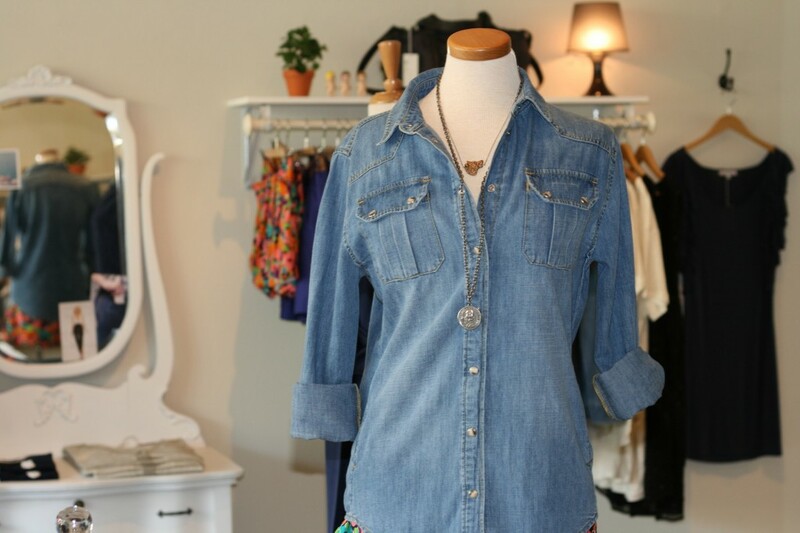 Even though denim tops have been all over the place for months now, there’s still a stigma attached to them, as if they can’t be fashionable. Let’s face it—you don’t see many cowboys in Menlo Park, so I think you can safely call the trend your own. This Paul & Joe Sister button-down looks cool with just about anything—you can also leave it unbuttoned, sort of like a jacket over a T-shirt or a tank top. Garance Doré always knows best. Très chic, no? JLo wears the line’s signature tusk on a delicate chain. We have the tusk in store on a chunky black and gold mixed metal chain (310). Stop by for a visit to see our selection of Gabriela Artigas Jewelry! 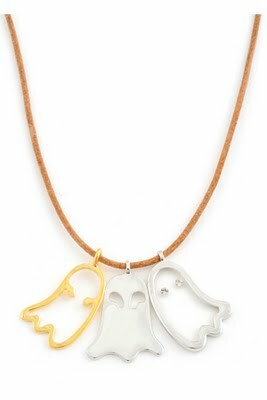 This ghost necklace from Twinkle by Wenlan is so perfect for the season! With a leather cord and 3 ghost pendants, one has Swarovski Crystal eyes, it’s sure to be a hit at any party! Twinkle 3 Ghost Necklace available on twinklebywenlan.com.